Along with outstanding performance in demanding scenes — waterproof to a depth of 20 meters, shock-resistant against a fall from a height of two meters, and cold-resistant to temperatures as low as -10°C — it has also become the first RICOH digital camera to feature 4K Full HD movie recording. 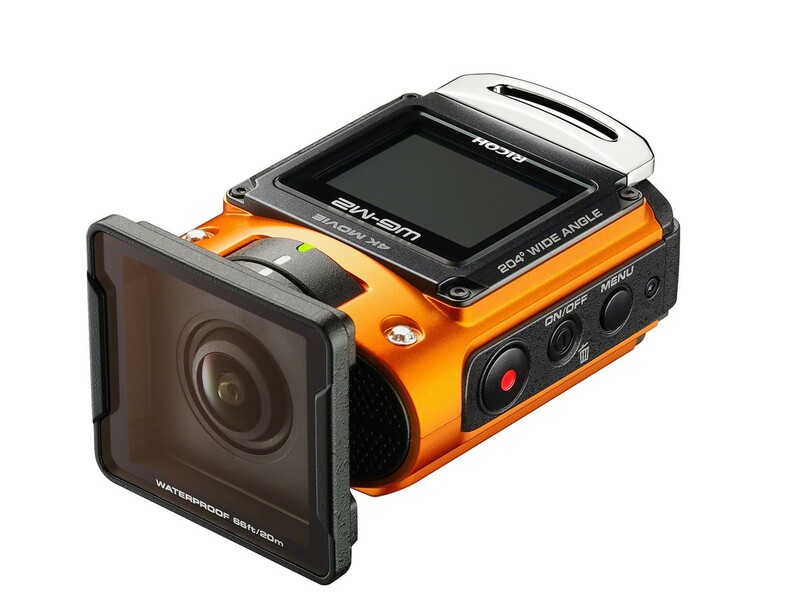 Coupled with an approximately 204-degree ultra-wide-angle lens, it captures dynamic, high-resolution, high-bit-rate movie clips with an exaggerated perspective. 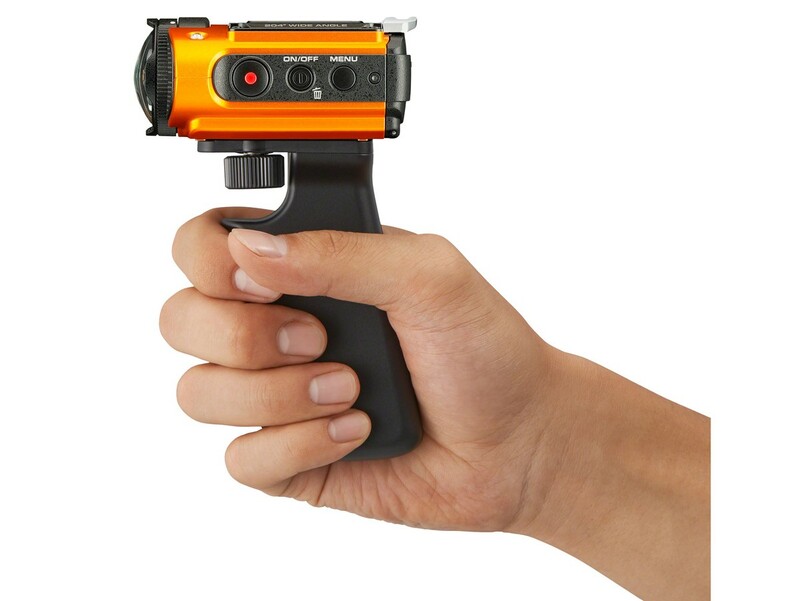 The WG-M2 provides a choice of two shooting angles*: Wide mode, with a maximum angle of view of approximately 204 degrees, to capture the magnificence of nature in dynamic images with an exaggerated perspective; and Narrow mode, with an approximately 151-degree angle of view, to record routine subjects with a more natural perspective. In the Narrow mode, the user can use the Movie SR (Shake Reduction) function** to minimize camera shake during movie recording. It also provides 4K Full HD movie recording, which captures high-resolution, extended movie clips (3840 x 2160 pixels, 16:9 proportions) at a frame rate of 30 frames per second. 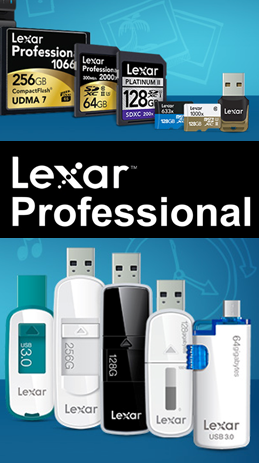 *** Since it allows the user to record movie clips at a high bit rate of 100Mbps, **** it delivers low-compression, high-resolution movie clips to accommodate a wider range of movie-related user demands. In Full HD movie mode, it also provides a higher frame rate of 60 frames per second to capture the subject with more fluid motion. 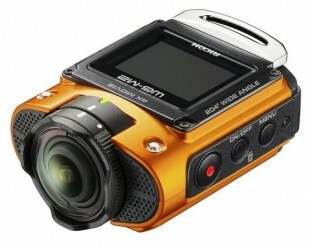 For playback of extended movie clips, such as one documenting a long bike tour, the camera features a range of convenient functions, such as: A Time-Lapse mode, which fast-forwards a movie clip at 30, 60 or 150 times of normal speed; an Endless Recoding mode, ***** which automatically creates movie files at five-, 10- or 25-minute intervals; and a High-Speed Movie mode, ****** which plays back a slow-motion image of a fast-moving subject. In addition, a micro-HDMI terminal (type D) is provided on the camera body for the simultaneous output of movie clips and sound to external audio-visual devices. Thanks to its airtight design, the WG-M2 assures outstanding waterproof performance to a depth of 20 meters and for up to two hours of continuous operation (equivalent to IPX8 or JIS Class 8) by simply mounting the included underwater lens protector on the body. 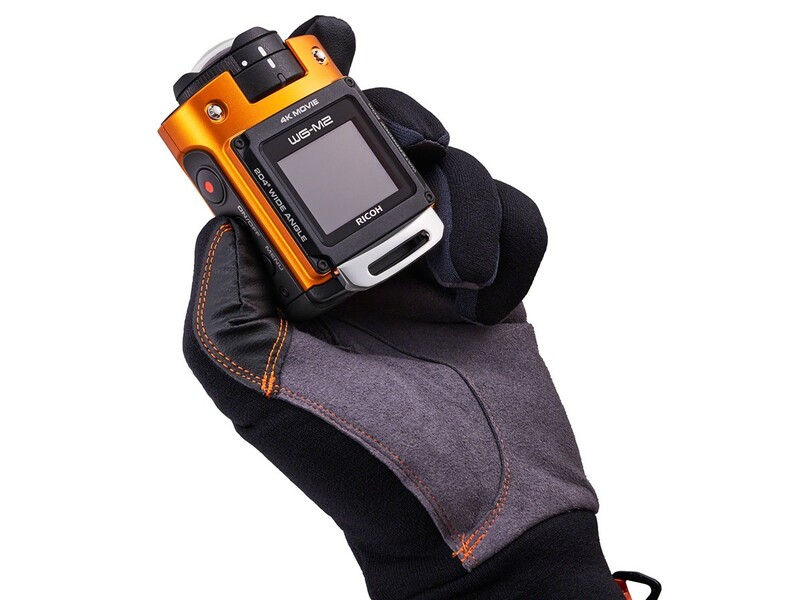 It is also designed to be shock-resistant against a fall from a height of two meters, * dustproof (equivalent to IPX6 or JIS Class 6), and cold-resistant against temperatures as low as -10°C. The WG-M2 is designed to optimize the color reproduction and contrast of recorded images, based on the data accumulated from numerous underwater image samples. As the result, it captures clear, well-defined underwater images without bluish or greenish color casts.